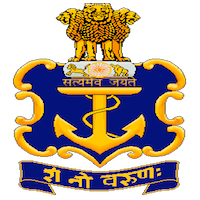 Online Application Details for Nausena Bharti Indian Navy Recruitment of 486 Draughtsman is given below. Application form and duly attested documents are to be sent to the Flag Officer Commanding-in-chief, (For Civilian recruitment cell), Headquarters Southern Naval Command, Kochi-682 004. In envelope super scribed with 'Application for the Post of Post Name'.